Generational shifts are set to give rise to more investment in remodeling, as baby boomer homeowners adopt accessible living, Gen Xer homeowners complete put-off projects and millennials become homeowners, according to a recently released report by the Harvard University Joint Center for Housing Studies. Higher remodeling spending broadly signals confidence in the economy, household finances and the housing market. The report, Demographic Change and the Remodeling Outlook, projects remodeling spending to grow an average 2 percent each year through 2025, driven primarily by rising home values and incomes. 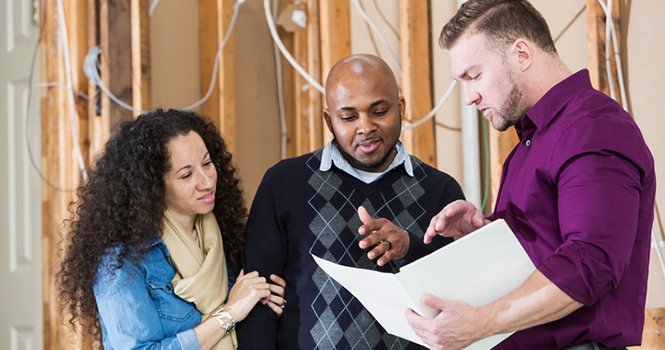 Homeowner and renter spending on remodels hit a record $340 billion in 2015. “With national house prices rising sufficiently to help owners rebuild home equity lost during the downturn, and with both household incomes and existing-home sales on the rise, we expect to see continued growth in the home improvement market,” says Kermit Baker, director of the Remodeling Futures Program at the Joint Center. Baby boomer homeowners will focus on improvements that support an aging-in-place lifestyle, according to the report, spending the most of the three generations at a 56 percent share. Millennial homeowners—with limited resources—will move to upgrade for automation and energy efficiency. The majority of remodeling spending occurs in housing markets with high home values and incomes—a derailing trend, if affordability pressures continue to hamper millennial home-buying. In still-affordable Cincinnati and Detroit, for example, remodeling spending by millennials was more than double than that in Los Angeles and San Francisco in 2015. Millennial homeowners of houses built before 1980, also in 2015, spent 16 percent more than the national average. In 2017, remodeling spending overall is projected to increase the most in the East and Midwest. Other shifts, however, could have a softening effect. The share of homeowners 65 and older—who typically spend less on remodeling—will grow in tandem with other generations, along with minority homeowners and homeowners without young children, who also spend less.